Being a dancer takes sacrifice, while being a choreographer takes vulnerability. 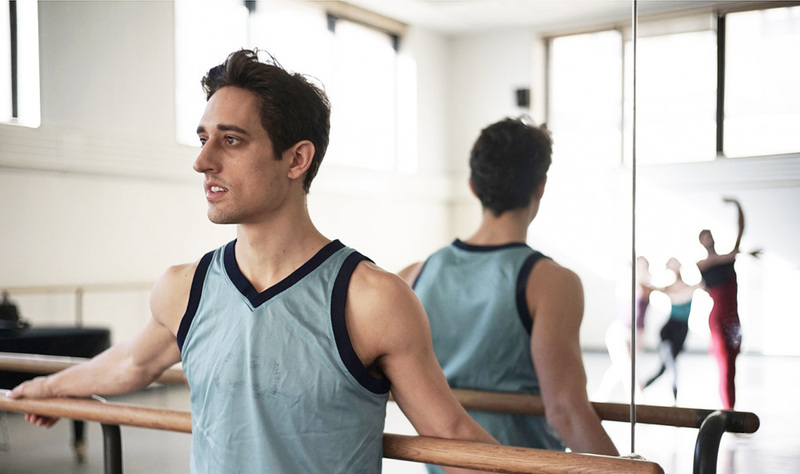 The documentary “Ballet 422” explores the development of twenty-five year old Justin Peck’s ballet creation “Paz de La Jolla.” In 2013, within two months, he set New York City Ballet’s 422nd creation to a musical composition from 1935 by Bohuslav Martinu. The ballet featured three company elite principal dancers (Tiler Peck, Sterling Hyltin, and Amar Ramasar) along with a 15-member corps. Peck explores a contemporary ballet style with constant fluidity and directional changes. His style, movement quality, and confidence reminds me of Jerome Robbins’ work where he intertwines movement within a story while bringing the audience deeper into the musicality of the composition. Peck uses every beat from the quick sound of the violins to the strong brass blows that brings the piece of music truly alive. His attention to detail and specifics from hand placement to body angles for a lift shows his ability to create strong work like Balanchine. Peck had a modest start in dance training in tap at age 9. It wasn’t until he was 13 years old that he started training in Ballet after he saw an American Ballet Theater performance of “Giselle” that inspired him. At 15, he moved to New York City to study at the School of American Ballet where he ultimately joined the New York City Ballet as an apprentice in 2006 at 18. From there, Peck rose through the ranks. In 2007, he became a member of the corps, and as he continued to choreograph and dance his career flourished, and in 2013 he received the title of soloist. As a choreographer, Peck produced his first Ballet in 2008. He found success in the Company’s Choreographic Institute. In 2013, when the documentary was created, he was commissioned to create the only new Ballet of that year for the winter season at 25 years old. Now at 28, Justin Peck is a soloist at the New York City Ballet and has become one of the most requested choreographers in the Ballet world. In 2014, he was appointed Resident Choreographer of the NYCB; only the second person in the history of the NYCB’s 68 year institution to hold such a title. Peck has choreographed 25 works for companies all over the world such as San Francisco Ballet, Pacific Northwest Ballet, Miami City Ballet, LA DanceProject, and the Paris Opera Ballet. His choreographic work – “Rodeo: Four Dance Episodes” was award in 2015 with a Bessie for outstanding production. His focus for the work was about finding a balance between athletics and artistry. It was primarily an all male cast with men partnering men. It explored that aspect of the men being the center of attention instead of the women, which was a refreshing view considering other Ballet casting structure. The documentary “Ballet 422” brought the audience into a behind the scenes peek at a young choreographer as his career was beginning to explode. Unlike most documentary, there was no interviews with any of the members of the production. The viewer saw the the blood, sweat, and tears that went into “Paz de la Jolla” without verbal interjection. Seeing Peck develop the work through movement studies in the studio alone as he sketched out formations and movement phrases showed that artists truly need time away from others to be creative. Many artists are all about control, but Peck seemed to understand that it is important to let others interject in the creative process as it makes the work better as a whole from the costume designers to the dancers. He seems to have an open forum for the people he works with that makes him approachable as the work is developed in a collaborative atmosphere. Justin Peck is a forward thinker. Someone who thinks outside the box as a choreographer, dancer, and collaborator, which makes him push the boundaries as an artist. Mikhail Baryshnikov said, “I found that dance, music, and literature is how I made sense of the world…it pushed me to think of things bigger than life’s daily routines…to think beyond what is immediate or convenient.” Watching the end of the documentary as you see Peck walk away and preparing to dance after watching his piece on stage, I imagine that the wheels never stop turning for someone who is multi-talented from development to artistic you need consistent evolution. It is with great sadness that I have come to hear about Mills College fading out their undergraduate dance program. I’m not writing this letter to yell, or cause a riot, but to make you consider a world where every major dance university decided to cut their dance programs to make their college “more contemporary and competitive.” As a past college student at College at Brockport in upstate New York, the importance of a liberal arts college that encompasses a dance curriculum of technique, composition, and critical engagement is a rarity. Many programs focus on technique, style, and performance as they are more conservatory based, and push their students in the direction of becoming a performer. College at Brockport taught me to have a passion in my choreography, to critically evaluate and analyze my performances, and to be able to utilize theory based arguments in my writing. So, I have three questions for you. One, are you going to deprive the next generation the option to receive this kind of education from your distinguished dance professors? Two, are you ready to explain your decision of fading out the dance program to generations that you have deprived of the next Trisha Brown, Molissa Fenley, or Nora Chipaumire? And three, how do you expect to continue to grow your graduate program if there is no undergraduate program to inspire, collaborate, and drive one another? We need to change education. To bring back the importance of the arts. Dance is in numerous basic subjects that are studied such as anatomy, math, and english. The impact dance has on individuals is more than just a class at a college, but prepares students to understand collaboration, creativity, and focus. I urge you to reconsider your decision and think about your children, grandchildren, and other young people who are important in your life. Would you deprive them of such a dance college program that has been around since 1938? Remember that our lives are full of choices, our actions affect more than just ourselves, and dance is the closest thing we have to magic. So, a weird thing happened. I was on a flight back from Atlanta and I looked diagonal from where I was sitting and there was a woman sitting there. I couldn’t figure out where I had seen her from. Then it hit me. It was Chloe Arnold, who I had been researching for my blog for the last few weeks! How crazy is that? Anyway, if you don’t know who Chloe Arnold is, she is the founder of the Syncopated Ladies. A tap group that dominated the television show So You Think You Can Dance as the winning crew of season 11. Besides performing she is an inspirational teacher pushing all that she works with to the edge. Her musicality is flawless where you can tell she listens to a lot of music and gets deep inside the beat formulating rhythms inside rhythms in her stepping and phrasing. She is one of the first tap dancers that is female that I have seen in a long time. She seems to be on a mission to raise awareness and respect for the tap art form and bring it back to a more global platform through film, television, and live theater. Her all girl group shows that her squad goals are all about female empowerment. Thinking about the top past tappers the people I think of are all male, such as Al Gilbert, Gregory Hines, Savion Glover, Buster Brown, and the Nicholas Brothers. Arnold is bringing us into a new generation of tap dancing and she is doing it in style through female strength not only in dancers, but with the music she uses for her routines. Her biggest work to go viral thus far is a piece she did with music by Beyoncé. This young dancer continues to bring us into the next generation of tap dance compiled of style, rhythm, and a squad of women who continue to push boundaries! 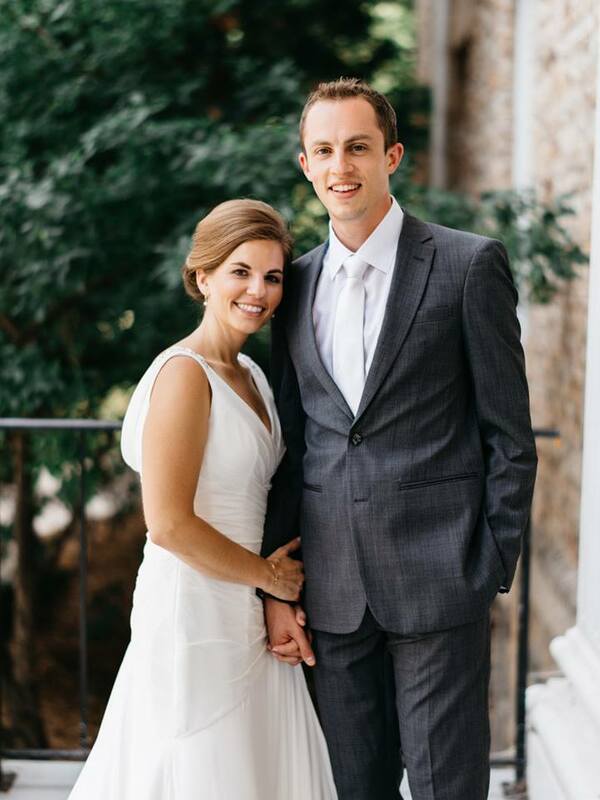 At the beginning of August, my friend Katie got married to her fiancé Charlie. They are so cute together that it makes you believe that love actually exists. For their first wedding dance, they asked me to choreograph a routine for them to Ed Sheeran’s “Thinking Out Loud.” I was super excited, nervous, and terrified all at the same time. I love to choreograph, but my biggest fear wasn’t choreographing the dance; it was creating a piece that they were going to be comfortable doing in a room full of people. Needless to say I took the approach of teaching these non-dancers as I would a five year old. This doesn’t mean that I treated them like a child. It means that I wanted to see what they would do with only a little direction. I started by showing them a basic step and once they would understand a step I would bring it to the next level by tying that step in with something a little more difficult. For example, everyone knows the square box step that you did when you were at a middle school dance. When the guy had no idea what he was doing and he kept stepping on your feet. That step was the first step we worked on. They mastered this very quickly, so, I started teaching them how to turn it. From teaching Charlie how he needed to hold Katie’s back, to where each one of them had to step to make the circle turn in a specific direction. The thought process behind choreographing their first dance was to make it flow, as well as have them change direction and throw in some tricks. In most cases, the audience isn’t going to notice if a step has been repetited or not because they are too memorized and impressed by the awesome skills the bride and groom have come to obtain. Throwing in some one handed spins so the bride’s dress flowed, a follow the leader sequence, and some hand connecting twists and turns can make any dance ignite into a show. I think the most important factor teaching non-dancers to dance is how dedicated they are to learning. Katie and Charlie were so determined to get everything I taught them perfectly in sync that we met once a week for a few hours for three weeks to learn the dance. Once it was taught and choreographed it was up to them to perfect it without me. They both took the initiative to practice a lot leading up to their wedding. On their wedding weekend it seemed like every time I saw them they were telling me that they were leaving early from a gathering to go practice. When I saw the final piece at their wedding I was so proud of the two of them that I could not contain my excitement. As soon as it was done, I had to jump out of my chair and hug the both of them. In the end of it all, it is not about teaching someone anything, but how hard they are willing to work to perfect it.